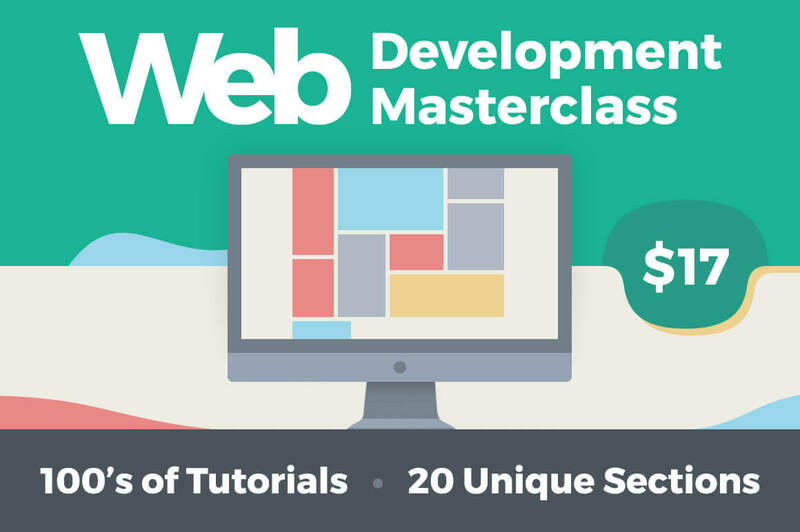 Web Development Masterclass: 100s of Tutorials, 20 Unique Sections - only $17! Now you can learn everything there is about building and maintaining websites with this super info-packed Mighty Deals Exclusive: Web Development Masterclass! In 20 different sections, this online video tutorial covers everything from teaching you the latest scripting languages to walking you through the installation and administration of everything from LAMP stack to test servers. Best of all, you'll learn at your own pace with a lifetime to soak it all in. Master setup and installations - domain name registration, nameserver and DNS Zone Files configurations, Ubuntu on a Virtual Machine, MAMP for Mac and more! This invaluable course normally sells for $299, but for a limited time only, you can get this career-building Web Development Masterclass for a mere $17! That's a whopping 94% off the regular price. After completing your purchase, you will be provided with a coupon code to register at the vendor's website, to gain lifetime access to the masterclass. Includes full support from instructors. The course is compatible with MAC and PC users. All required software downloads are free. Some basic computer knowledge is required (creating files/folders, installing programs etc). Lectures are recorded in HD and must be streamed - requires stable internet connection. The course is licensed on a per user basis. It may not be sold, redistributed, or given away in any shape or form.